We are here for you Monday-Friday 8:30-5:30pm, simply call our catering specialist 1-844-644-6814 and we will take care of all the details including helping you customize your order to fit your needs. Not in the mood to talk to a human, we understand – we all have those days or sometimes we are simply too busy! Place your order online. Only bummer is you are not able to customize – but we are only a phone call away and will happily adjust your order – so go ahead – build it online and then we will follow up with a phone call. We ask for at least 4 hours notice BUT we understand sometimes those bosses spring it on you – got it! We will always do our best to accommodate those last minute orders and make you shine in front of your boss. You will need to call us though and speak to our very kind specialist! Sorry – we are just family owned little guys and we are unable to accept online orders on the weekend, so please call the café directly to place your weekend catering order. 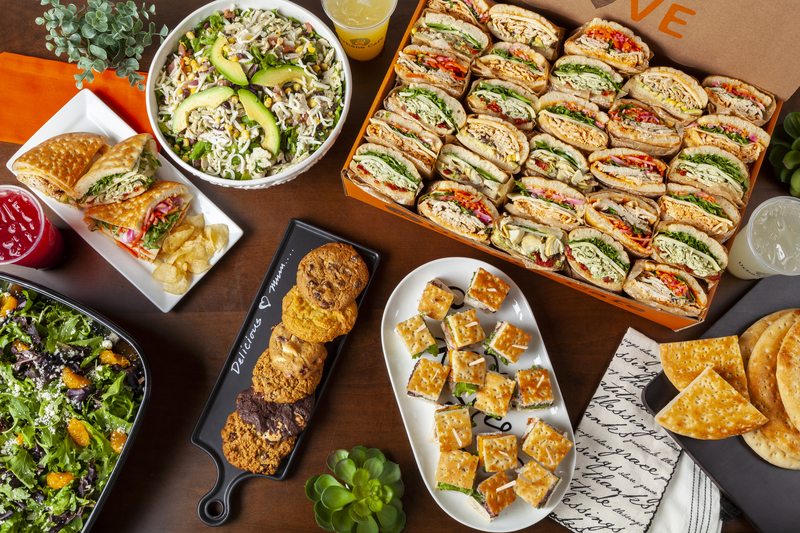 We offer delivery service on catering orders over $100. Deliveries within one mile of the cafe are free of charge. There is a $15 charge for deliveries more than 1 mile, and a $20 charge for deliveries more than 8 miles. Delivery during peak lunch hours, on weekends, or more than 10 miles may not be possible. Oh Snap – You want to Cancel? We understand things come up-please call our catering specialist 1-844-644-6814 to cancel your order. If you notify us before 9:00am on the day of the order there is no charge. Cancellations made after 9:00am same day will be charged 50%.